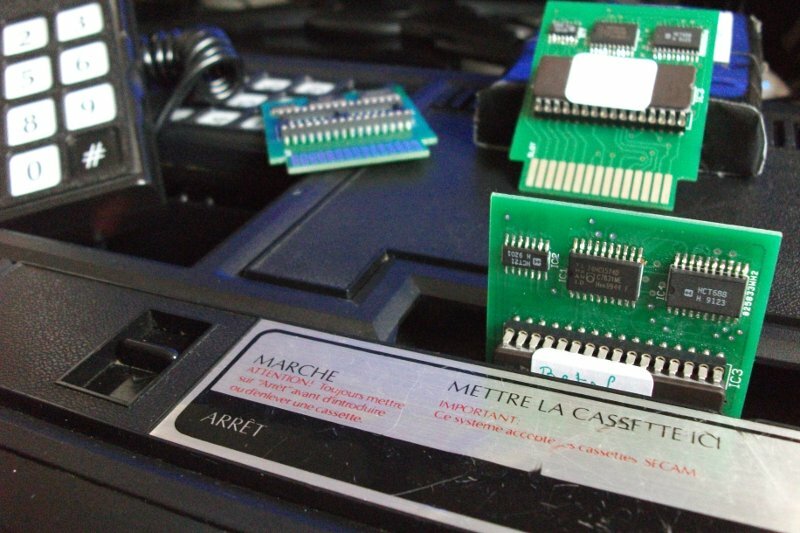 Few years ago, with my good friend Buzz, we had launched the production of few pcbs for the Colecovision 31in1. There are 5 cards remaining today ! 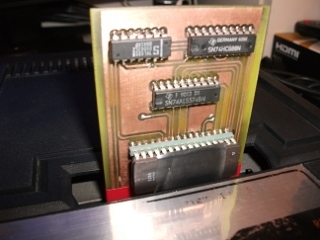 I finally succeed to get a SD Slim HxC Floppy emulator to work with my amstrad CPC 464 connected to a floppy drive FD-1. Here is step by step what i did. 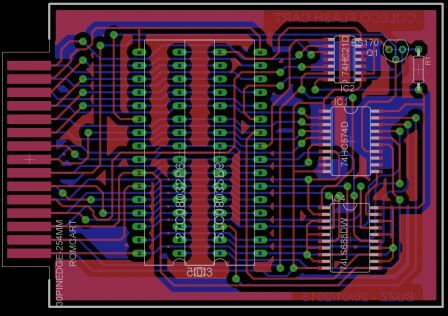 First of all you need to mod you FD-1 to get the ground and the 5v cable for the HxC Slim SD board. 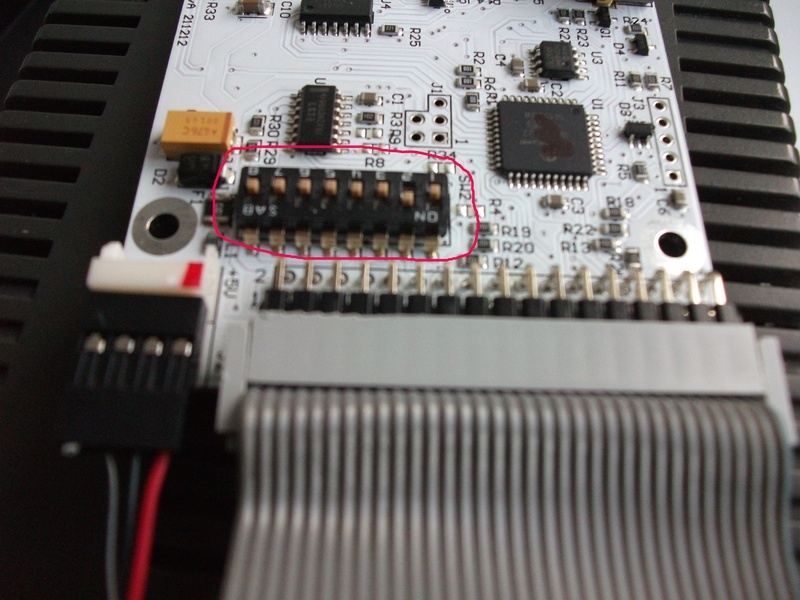 You need to open the FD-1, and to connect the ground and the 5v of the floppy Molex as shown on the picture. 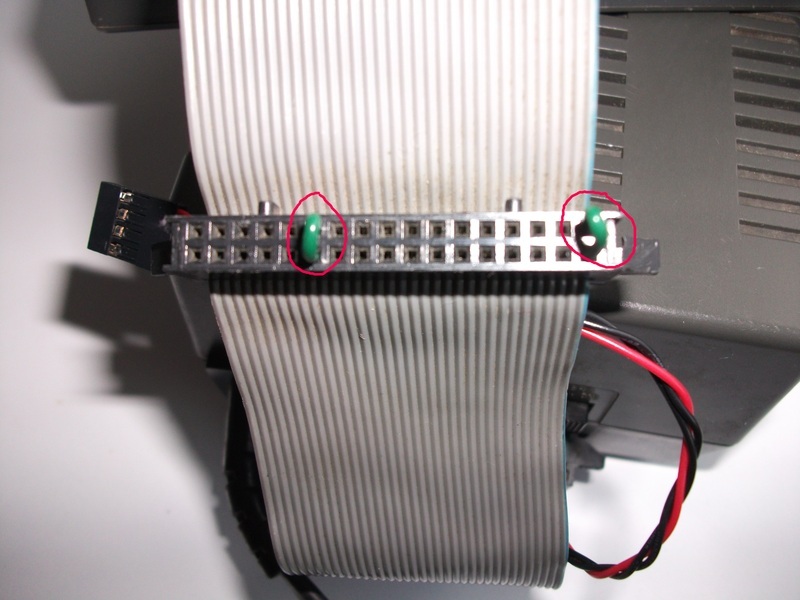 Be careful, the 5v is the orange cable in the FD-1 (Red is 12v !). 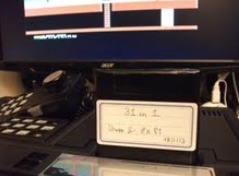 Then you have to put two jumpers on the ribbon of the DDI-1, as shown below. 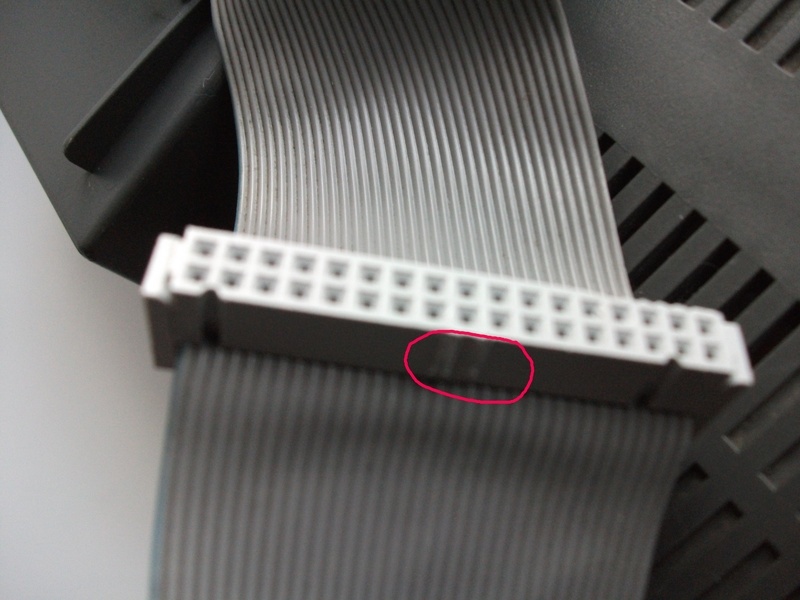 You have to cut the two plastic protections as shown on the picture. 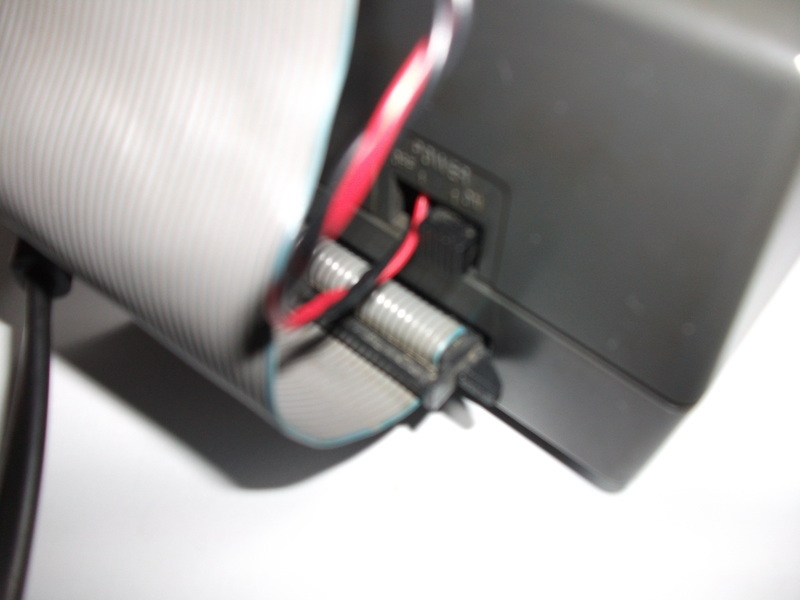 Otherwise you won't be able to plug correctly the ribbon with the HxC connector. 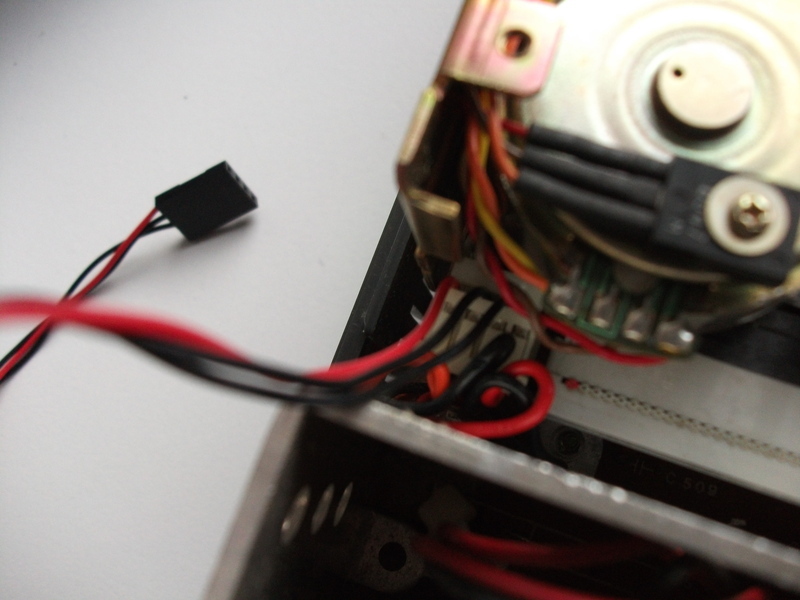 Next, You have to setup properly the jumpers on the HxC (i gave many tries, and that is the one that worked for me). 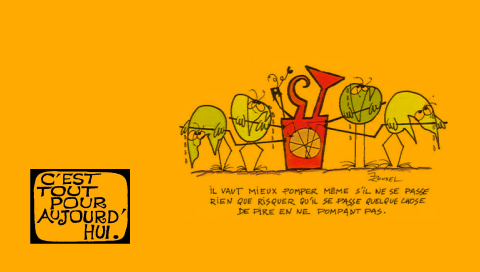 (See HxC website, there are tons of documents available there). 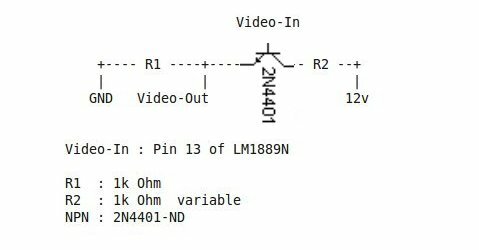 I would like the share with a video modification i realized recently for the Intellivsion console (SECAM version). 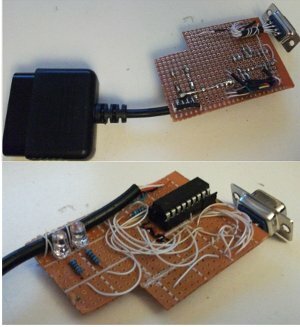 It lets you to connect your console to a TV using a standard RCA/composite cable. 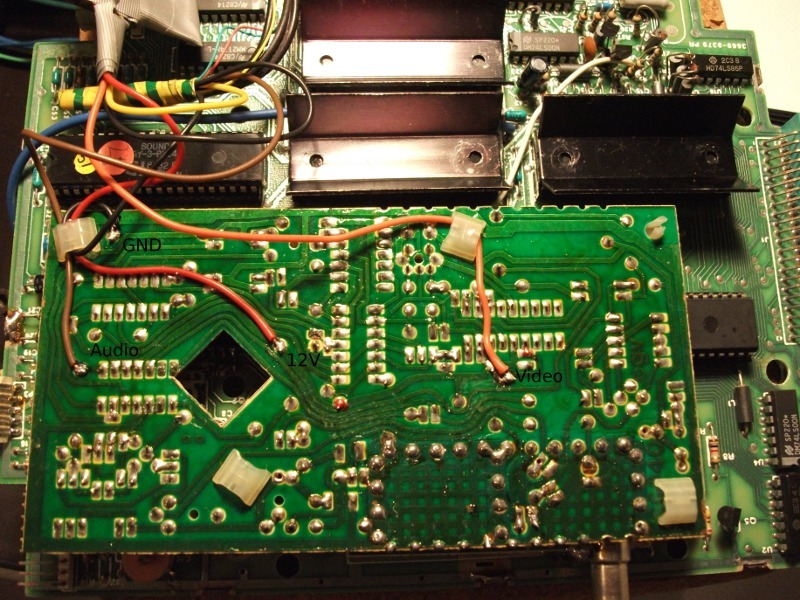 The photo above shows where to connect wires on the daughter board (SECAM version), and below you get the schematic to use for this video modification. 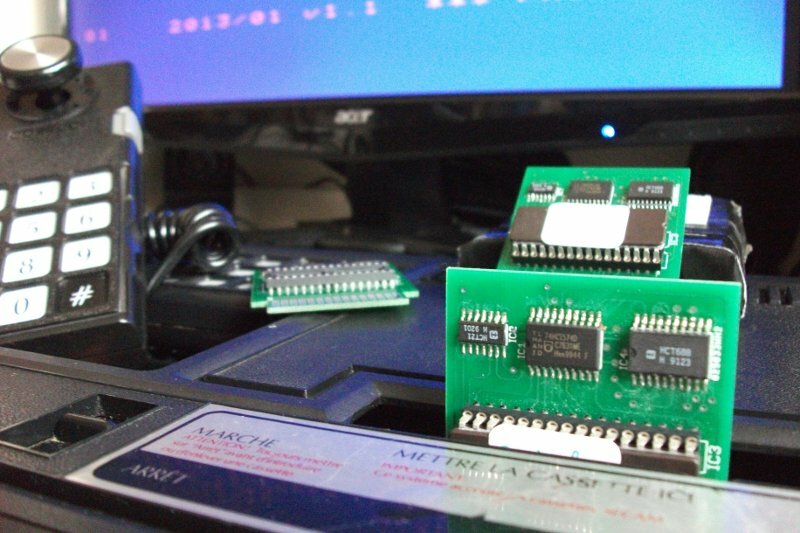 With my good friend Buzz, we have designed a cartridge with 255 games for the Atari 2600 and 7800. 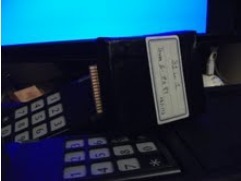 You will find here, an archive with the binary image to be flashed on the eeprom 27C801, but also the code source of the loader. 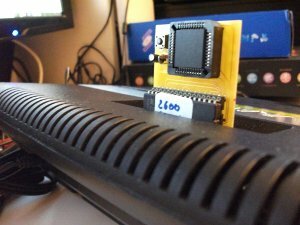 This "loader" is based on the "A text adventure game/engine for the Atari 2600" developed a while ago by Greg Troutman in 1997. 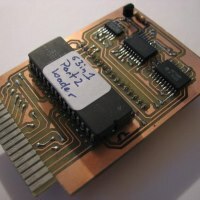 Archive of the ffin1 loader. 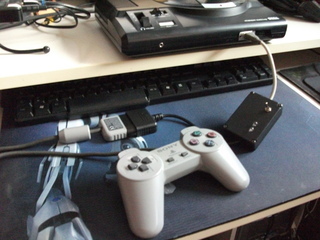 Here is a port on JXD of my Pandora port version. I have modified the Pandora version and port it to android using the amazing framework of Pelya, a big 'merci' for his awesome work. See his site for more details. It has been written by Greg Stanton, see Greg Stanton web site for details. 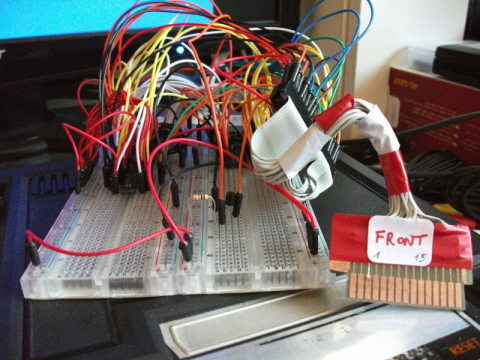 For very few euros you can build your own. 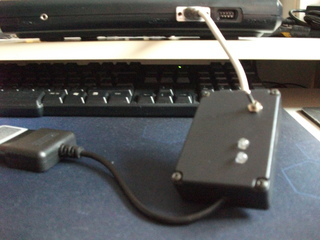 I used MPlab for the development and MiniPro for PIC programming. 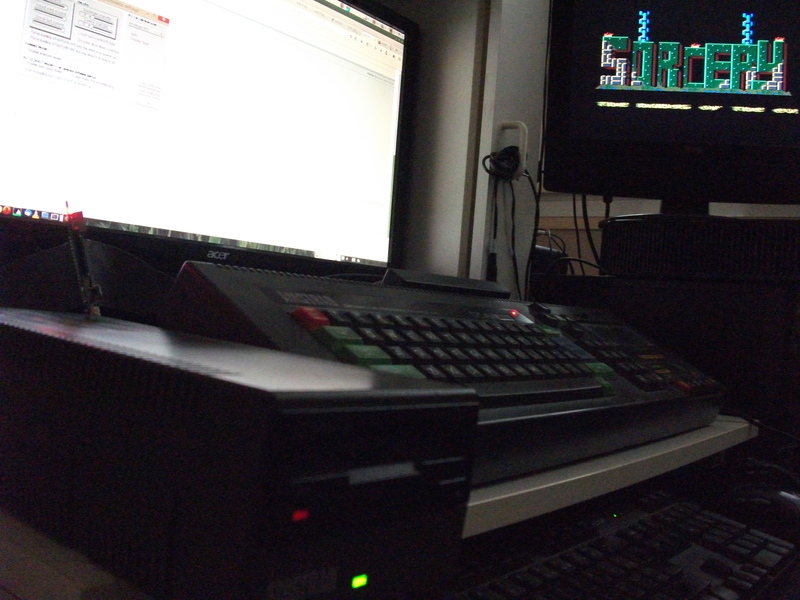 One of the best old console for shoot'em up is the megadrive (after PCE engine of course ). 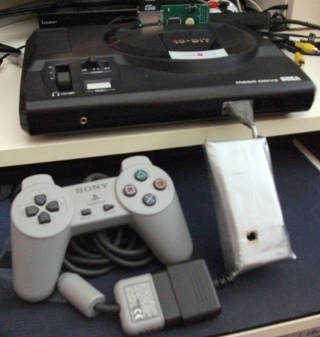 I wanted to use a PSX arcade pad with a megadrive, so i decided to build this adapter. This version is a derivative version of the work of Thomas Kirk (many thanks to him) who did it for atari and amiga db9 joystick. And for a few bucks you can build you own. I used the MPlab software for PIC development and MiniPro to program the PIC. With my good friend Buzz, we spent last past few weeks on a new project called "63 in 1". 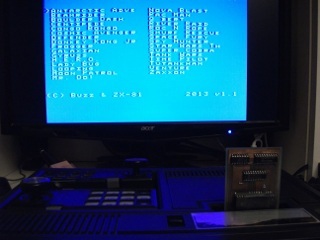 This is a home made cartridge with 63 games, an enhancement of our previous "31in1" colecovision cartridge. 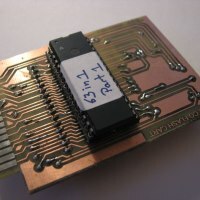 31 in 1 : a home made cartridge with 31 games. 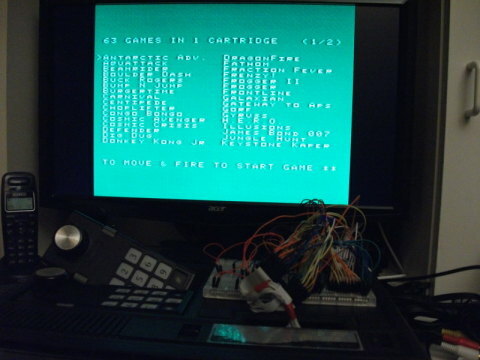 Using the SDCC compiler and libraries and documentation of Daniel Bienvenu, i have written the loader part of this cartridge that let you choose the game you want using the pad. Here a new version for Android JXD console of the Lopan Mahjong game written by Dave Ashley (See here for more details). 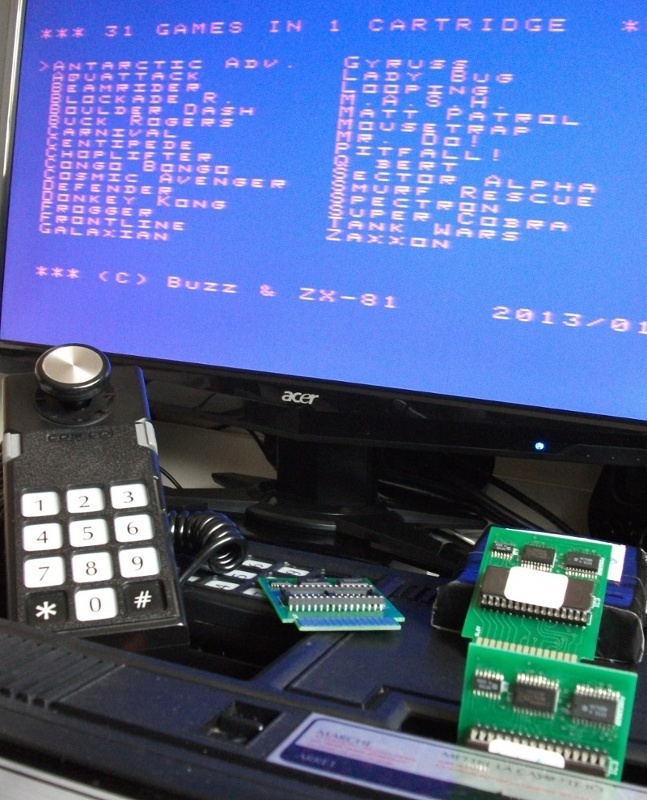 Here is a new version of Stella / atari 2600 emulator for Android consoles JXD S5110, JXD S601 and Yinlips G18. Here is a new version for JXD S5110, JXD S601 and Yinlips G18.